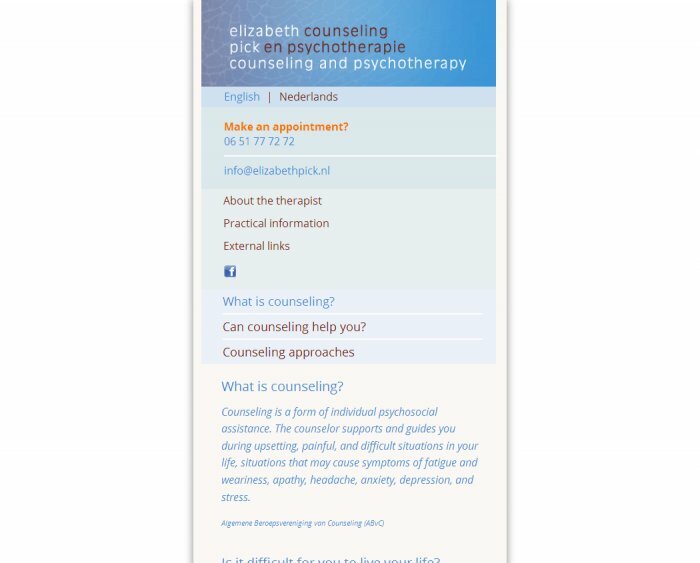 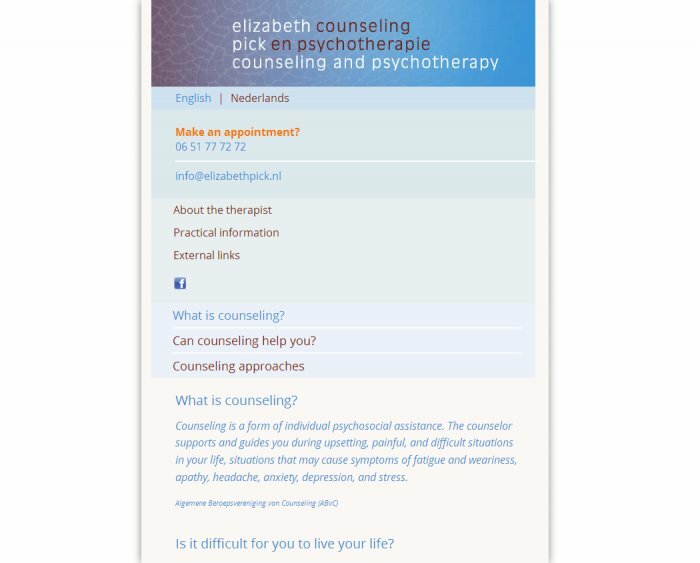 Studio Zeevonk hired AlexxDesign to build a new website for the counselor and the psychotherapist from The Hague. 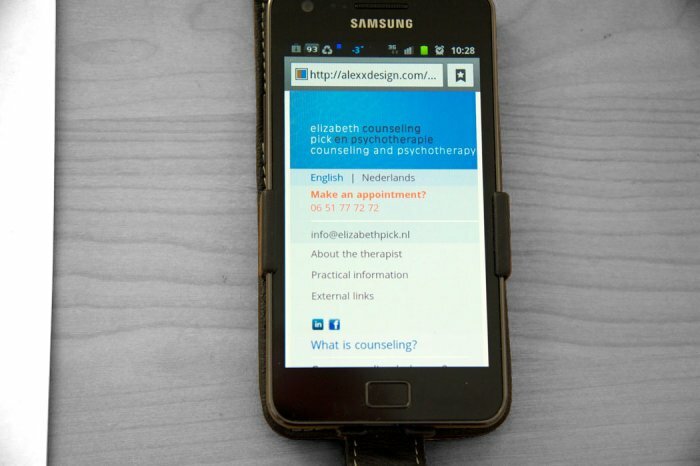 With a modern minimalist design and responsive layout (‘screen resolution sensitive layout’), Alex developed a 'folding' website for easy reading on desktop computers, tablet and mobile / smart phones. 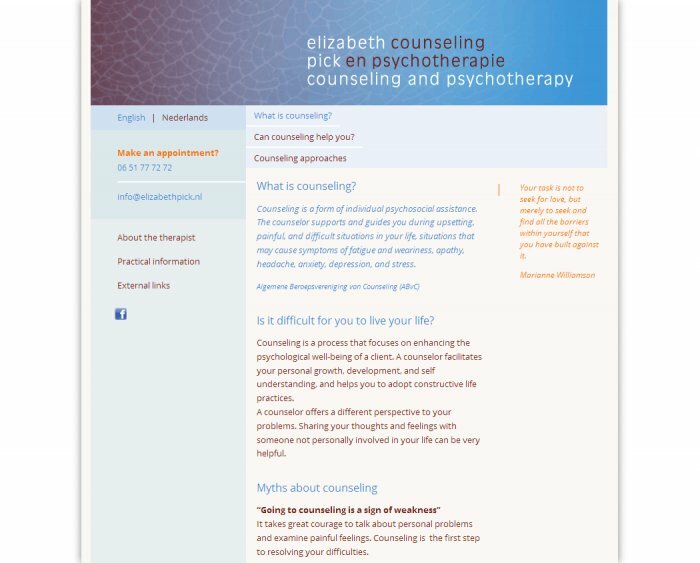 The choice for suitable CMS fell on an Open Source example with an extremely easy and intuitive user interface.